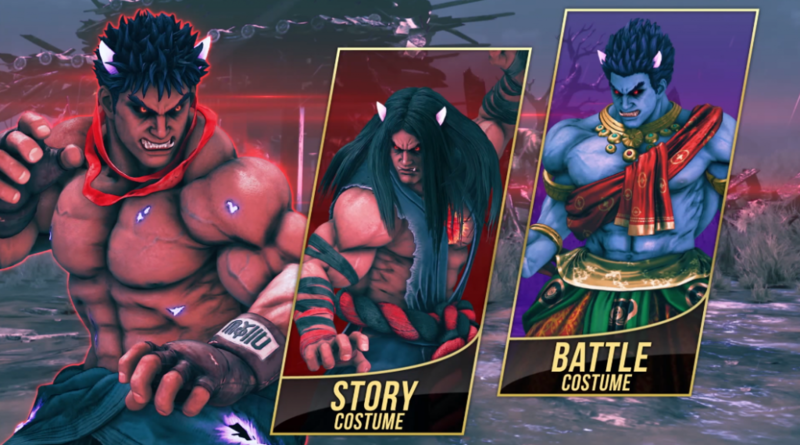 Kage was just revealed and released for Street Fighter V: Arcade Edition. Hadoken – Kage’s Hadoken sees him emitting energy from his palm, but doesn’t create a traditional fireball, at least in the grounded version. The airborne version of Hadoken emits a fireball horizontally in the air. 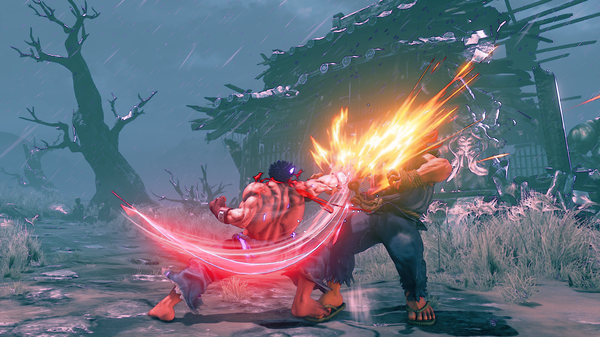 Shakunetsu Hadoken – Similar to Akuma’s “red fireball,” Kage gathers energy in both fists and sends the projectile full screen. Shoryuken – Kage wouldn’t come from Ryu if he didn’t have this iconic move! Kurekijin – Kage jumps off the ground and rotates only once to deliver a single kick. Kurekijin can also be used in the air. Ryusokyaku – Similar to Evil Ryu’s “Axe Kick” where he lifts his leg in an arcing motion and slams it down on the ground. V-Skill: Senha Kassatsu – Kage gathers energy into his fist and lunges forward to punch the opponent. Senha Kassatsu has armor and can be charged for a more devastating blow. V-Trigger I: Taigyaku Mudo – In this two-bar V-Trigger, Kage unlocks Ashura Senku, a teleport move that is performed by pressing HP+HK. Ashura Senku can be used on the ground and in the air as an air dash, which opens up multiple mix-up options and flashy combos. Taigyaku Mudo also improves Kage’s V-Skill so that he can now combo into it while the fully charged version will crumple the opponent. V-Trigger II: Rikudo Osatsu – In this three-bar V-Trigger, Kage unlocks Misogi, a move that sends him into the skies before crashing down on the opponent by pressing HP+HK. Misogi can be cancelled into by a number of normal and specials, including blocked sweeps, which makes it a pressure monster. Metsu Shoryuken – Ryu’s iconic super from previous games lets everyone know that Kage is indeed a part of Ryu. Kage does a devastating upper cut that ends in a flash full of red. Shun Goku Satsu (V-Trigger II only) – Kage wouldn’t be the Satsui no Hado without having the Shun Goku Satsu! While only available in V-Trigger II, Kage’s version of the Raging Demon can be used to end particular combos with his signature red gracing the screen afterwards. Kage is only the beginning of the next season of Street Fighter V: Arcade Edition! We’re doing things differently this year, so we’re eager to share the details with you soon! Thank you for all the continued support. We can’t wait to show off what’s next in 2019! Street Fighter V: Arcade Edition is available on PS4 and PC.